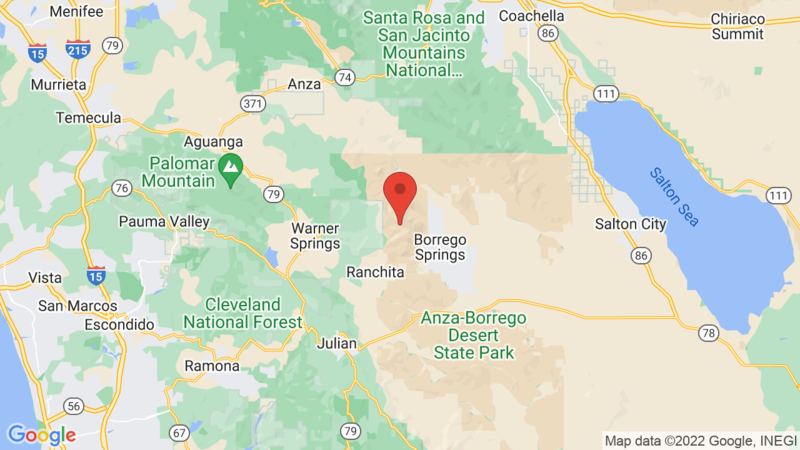 Borrego Palm Canyon campground is just a few miles from the town of Borrego Springs. It is also located right next to popular hiking trails (including the Borrego Palm Canyon Trail) and about a mile from the Visitor Center. Outdoor activities include biking, hiking, photography, picnicking, exploring historic sites, OHVing, wild flower and wildlife viewing. Tamarisk Grove campground is another option in the Park. It has 27 campsites (some with cabins) for tents, trailers and RVs. Visted Borrego Palm Canyon Campground lately? We'd love to hear about your adventure. Did you find us useful? Did we forget something? 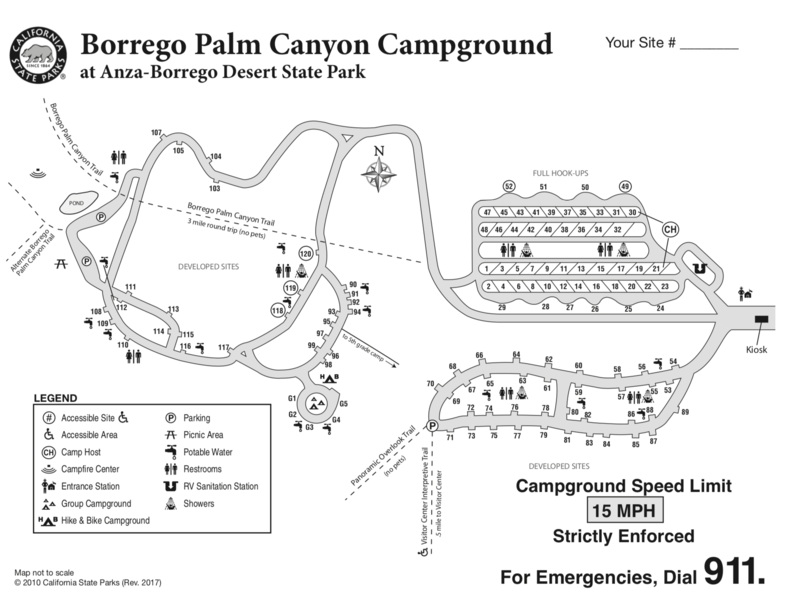 Anything our community should know before heading out to Borrego Palm Canyon? We took a four day trip in November of 2013. It was pleasant and enjoyable and we were surprised that there were so many people in the campground. I guess because like us most folks were on Thanksgiving vacation. We tent camped in spot 82. It was still at night, not much wind, not terribly cold. The candle on our table never went out! The first full day we packed a lunch grabbed the camera and started out early in the morning on the 3 mile Palm Canyon Trail. It was an easy hike and just lovely. There were some beautiful birds and it was peaceful and quite. There was a lot to see and we took our time. Make sure you take water because it’s very easy to get dehydrated. The next day we made the trip to the Visitor Center by foot from our campsite. Just a little over a mile round trip. I was glad we checked it out as they had some good movies and some pretty cool exhibits. We spent some time checking out the older unused campground near ours and poked around the ruins of the older stone style campsite. No snakes! You don’t notice it but it’s very dusty. We were glad for the showers. It just makes camping so much nicer to be able to get cleaned up. We commented that we should’ve taken our bikes as it’s a good lace to ride.